mat-conlo has no other items for sale. 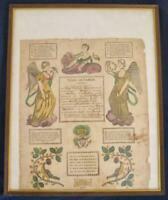 1810’s $1 Farmers Bank of Bucks County, HulmeVille, PA – CRISP! !